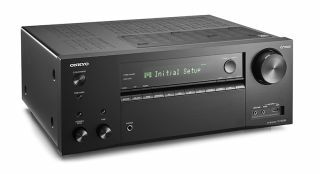 Onkyo | Reviews and products | What Hi-Fi? This Onkyo is a nice-sounding amplifier, but plays things rather safe. Entertaining Onkyo streaming system just lacks a little sonic sophistication. Designed for big-screen TVs, can the Onkyo shine in a highly competitive soundbase market? A CD player and music streamer for a budget price? This Onkyo has plenty of instant appeal – but does it have the performance to match?